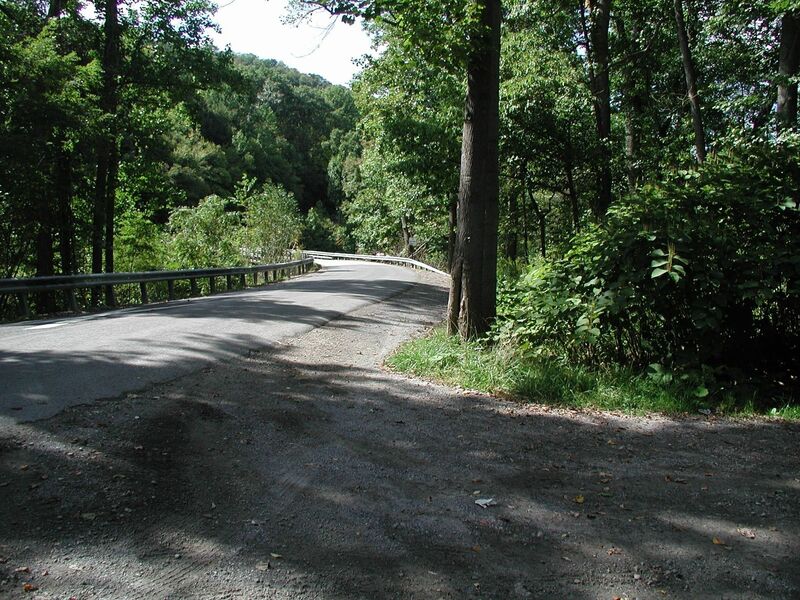 The Stonycreek Driving Tour is a 52.7 mile moderately trafficked loop trail located near Johnstown, Pennsylvania that offers scenic views and is good for all skill levels. The trail offers a number of activity options and is accessible year-round. Dogs are also able to use this trail. Experiencing the beauty, excitement, history and activity of The Stonycreek, with the convenience of your conveyance! 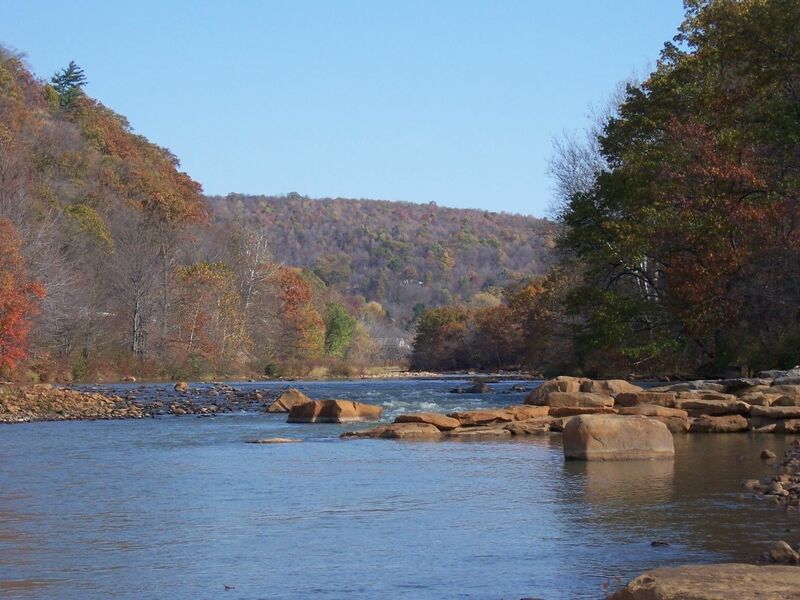 The Stonycreek is a river atop the Allegheny Plateau in Southwestern Pennsylvania that is known for its whitewater boating and wilderness-style fly-fishing. 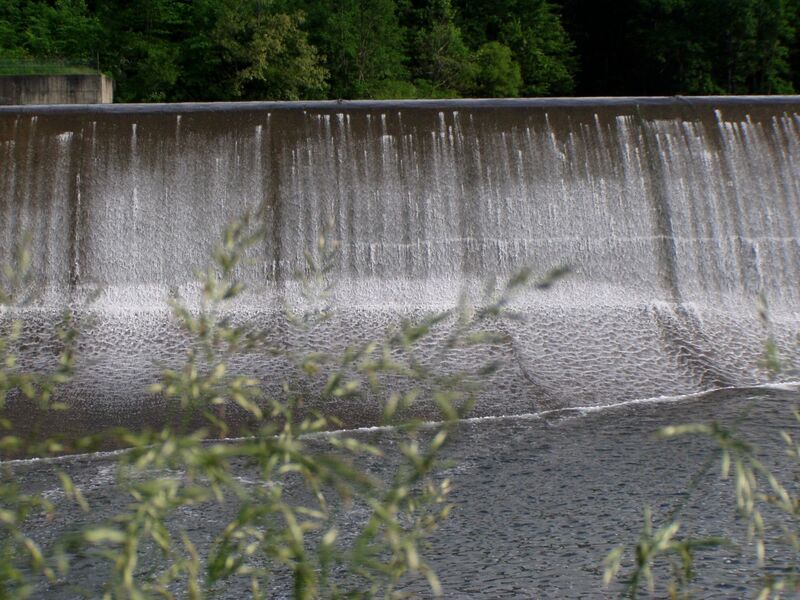 But there's much more here: the family-friendly resources of Quemahoning Lake ... event-packed Greenhouse Park ... the natural beauty of the Stonycreek Valley ... histories of coal mining and immigrants ... and a dramatic story of a river's return to life. This Driving Tour will give you a good taste of what The Stonycreek is all about -- and provide a fantastic half-day outing for you and your family. This is more than a motor tour, though. To truly experience the Stony, you'll need to leave your vehicle, look around, hike a bit and maybe even put on swimming trunks ... waders ... or a PFD (personal flotation device)! Greenhouse Park once was the site of a greenhouse and truck-farming complex. After the 1977 Flood, the Federal Emergency Management Agency acquired the land and turned it over to Conemaugh Township. 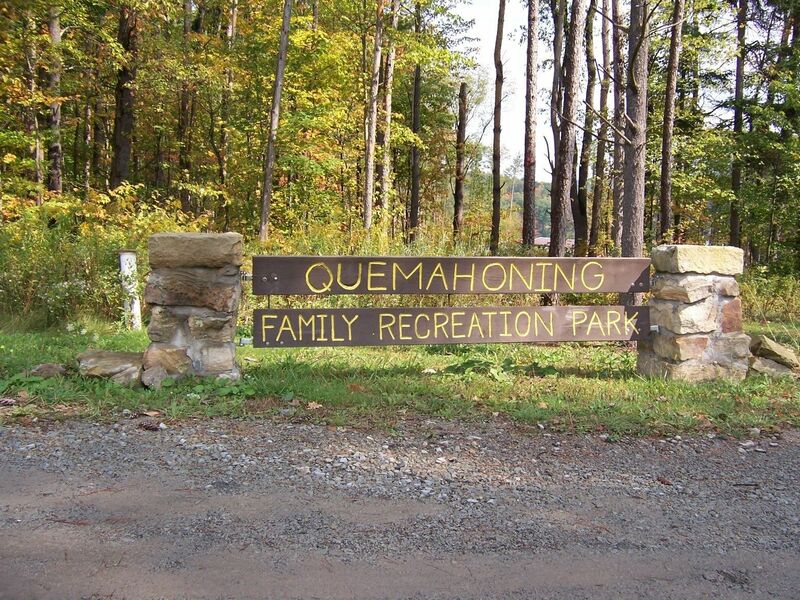 Under the operation of Conemaugh Township, the park has become a favorite outdoor venue for a variety of annual events, including the Stonycreek Rendezvous, an annual gathering of hundreds of whitewater-paddling enthusiasts in mid-May; and Thunder in the Valley, a motorcycle rally that draws hundreds of thousands to the Greater Johnstown area in late-June. During those events, boaters and bikers camp here at Greenhouse Park. People also picnic, exercise on walking paths, play volleyball, enjoy nature, and paddle in Whitewater Park. Whitewater Park opened in the adjacent section of the Stonycreek River in 2008. This artificial set of Class II rapids was specially designed for play-boating, learning how to paddle in whitewater and tubing. It has not only proven popular with whitewater paddlers and tubers but with fishers and with people who find the setting peaceful and relaxing. Greenhouse Park, PA Route 403, Tire Hill, PA. This hillside property, owned by the City of Johnstown, is a remnant of the days when a trolley line connected the city with the coal-mining community of Windber. The line followed the Stonycreek River from Benscreek through Kelso (Tire Hill) to Carpenter's Park and the mouth of Paint Creek, then followed Paint Creek to Scalp Level and Windber. At Carpenter's Park, people picnicked, swam, socialized in the dance hall or hiked up to Yoder Falls. The trolley line was abandoned following the 1936 Flood. Today, the only public access to Yoder Falls is down a steep but short and well-defined path from this parking area. 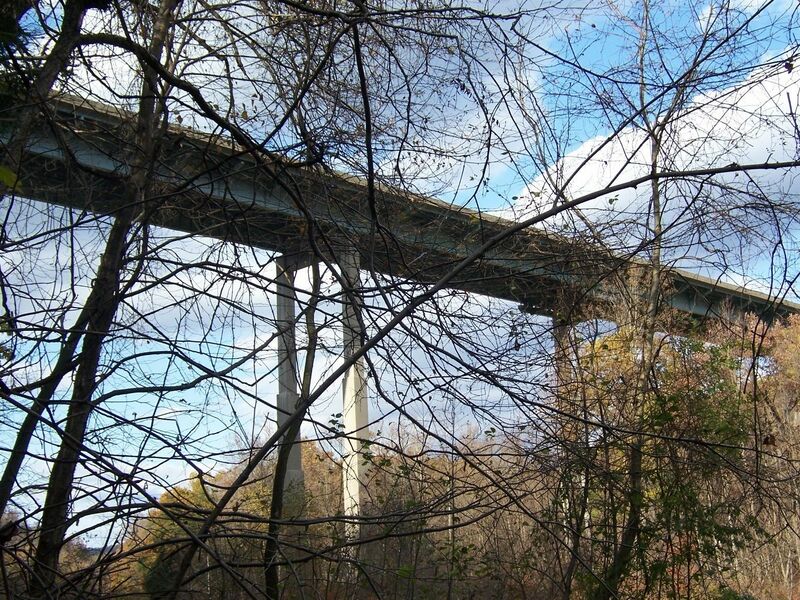 On the lower half of the path, you can see dramatic views of McNally Bridge, which is almost 1,400 feet long and 192 feet high. At the path's bottom you will find cut-stone bridge abutments - a historical trace of the trolley line. To reach Yoder Falls, follow the watercourse upstream a couple hundred yards to the falls. Please be aware that this hike is short but challenging. There is no established path to the falls and footing is difficult among the rocks in the watercourse. Please use caution and proceed at your own risk. Back in the days of the Johnstown Passenger Railway Company, Carpenter's Park was the nexus of trolley lines that connected with the City of Johnstown and the coal-mining communities of Scalp Level/Mine 40 and Windber. So it became a social center. Residents would ride the trolley to Carpenter's Park (named for Peter Carpenter, a Johnstown hotel owner) where they could picnic, swim, dance and socialize in a pavilion or hike over to Yoder Falls. Today, Carpenter's Park is a principal put-in and take-out area for boaters. Sitting just beyond the end of the Stonycreek Canyon, which features 15 sets of Class III-IV rapids within four miles, this usually is the place where paddlers take out their boats after making the Canyon run. However, it also is a put-in area for boaters interested in the 3.5-mile Class II-III section between Carpenter's Park and Whitewater Park. The coal-rich Eureka field in The Stonycreek Corridor helped to make the Berwind-White Coal Company one of the nation's leading coal producers with customers that included the New York City subway system and transoceanic steamship lines. In the 1890s and early 1900s, Berwind developed 13 Eureka mines and designated Windber to be its regional headquarters. Eureka Mine 40 was one of Berwind's largest and best-equipped mines. The Mine 40 complex, which included both mining facilities and worker housing, was developed between 1902 and 1905 on farmland adjacent to the community of Scalp Level. Scalp Level and the Paint Creek valley below it had been a favored destination of Pittsburgh-based landscape painters for decades. Known as the Scalp Level School, these artists produced works that are collected today. The Berwind-White Coal Company of Philadelphia was one of the nation's leading bituminous coal producers during the first half of the 20th century, providing fuel for steamships and New York City's subway system. Upon acquiring 30,000 acres within The Stonycreek Corridor in the 1890s, Berwind developed 13 mines (Eureka mines 30 to 42) and established its regional headquarters in Windber. (The name was formed by reversing the syllables of "Berwind.") By 1962, 150 million tons of coal had been taken from Windber area mines. 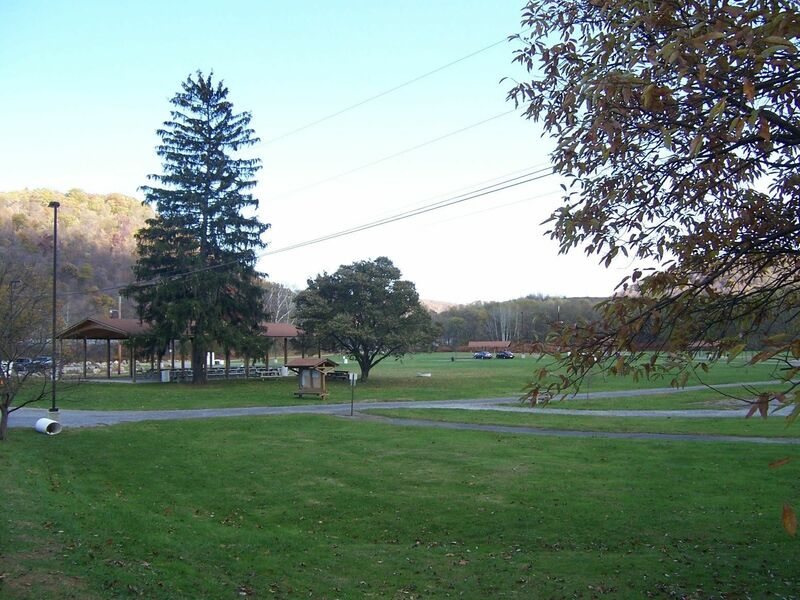 While each mine complex was its own little community with worker housing and a company store, Windber provided facilities for company operations and resources for the regional community, including a hospital, theater, larger company department store, other shops, churches, social clubs, restaurants, hotels and ancillary services. 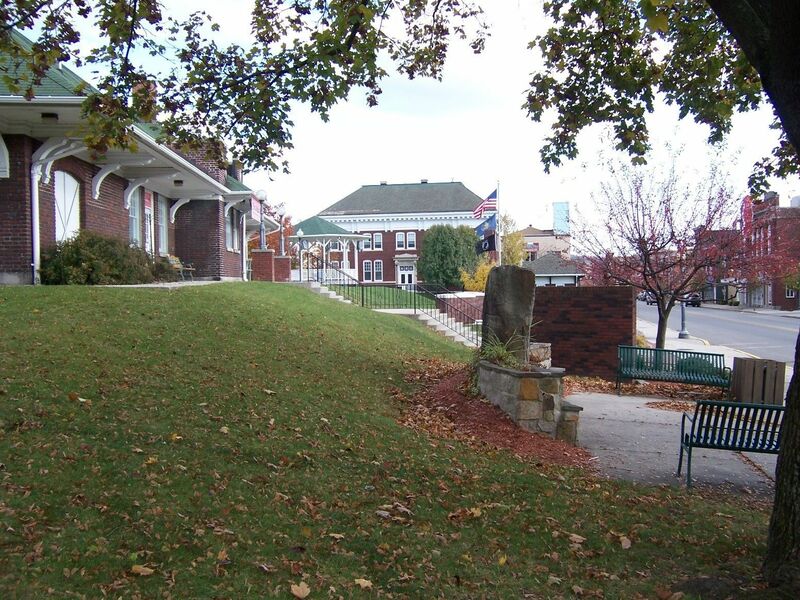 A total of 945 structures date from that period and contribute to the historic district, which is listed on the National Register of Historic Places. Foustwell was the original name given to the village of Seanor, which became a mining community after Berwind-White Coal Company opened Eureka mines 38 and 39 in the area circa 1900 and built company houses there. 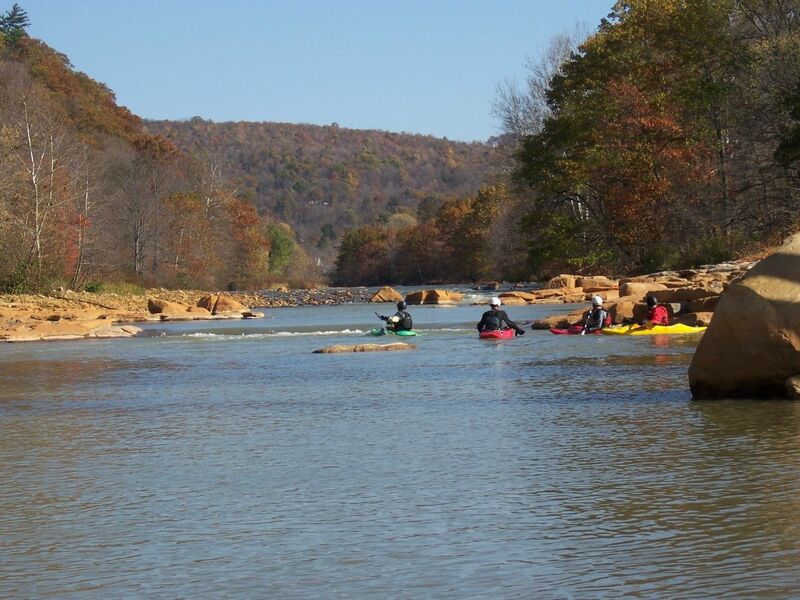 Today, the location is better known as the only easily accessible boater put-in within the Stonycreek Canyon - and one of the best places to view whitewater boating. Park here and walk upstream a short distance and you'll see "Showers," the uppermost named-rapid within the Canyon. 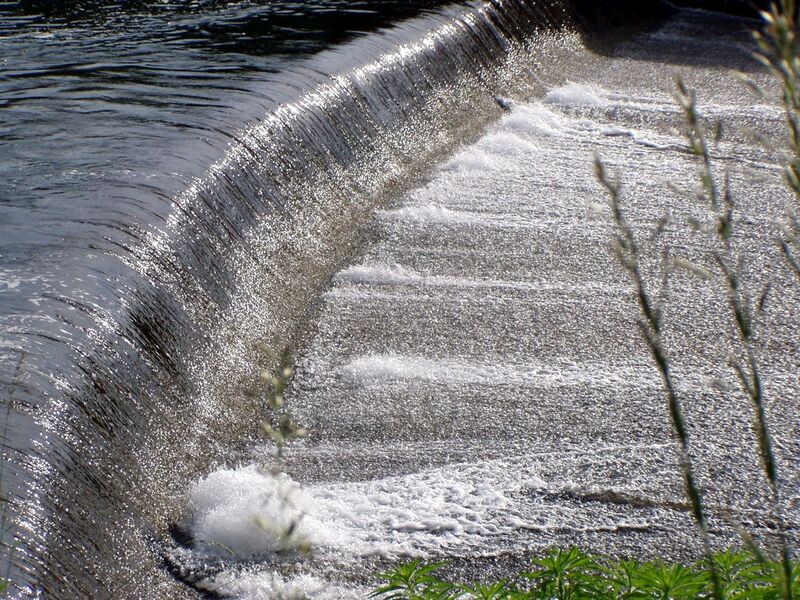 Walk downstream and you will see a series of hydraulics known as "Surf Lab." 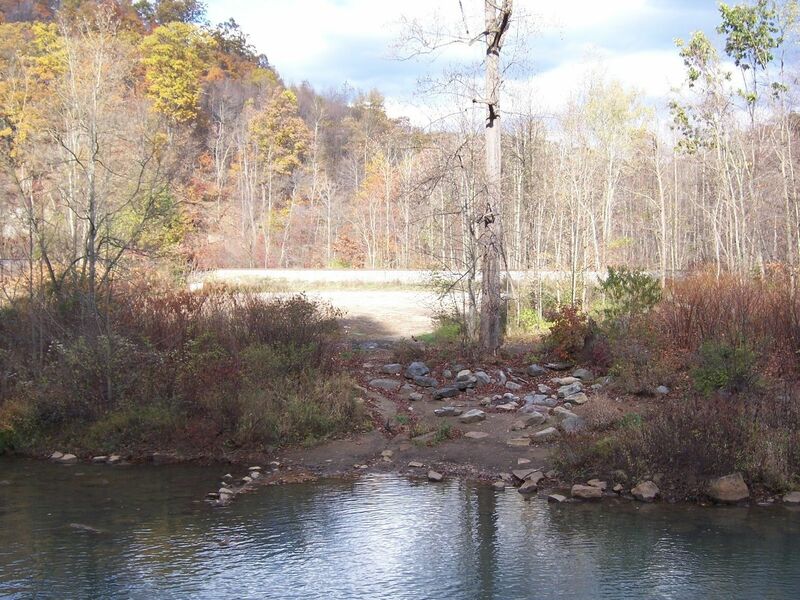 This location is also an excellent place to see the 66-inch pipeline that extends for 14 miles from Quemahoning Dam to the steel mills in Johnstown as it emerges from the river downstream near Surf Lab. Another point of interest, about one-quarter mile downstream from the parking area, is a small stone guardhouse that was used to watch for saboteurs during World War II. 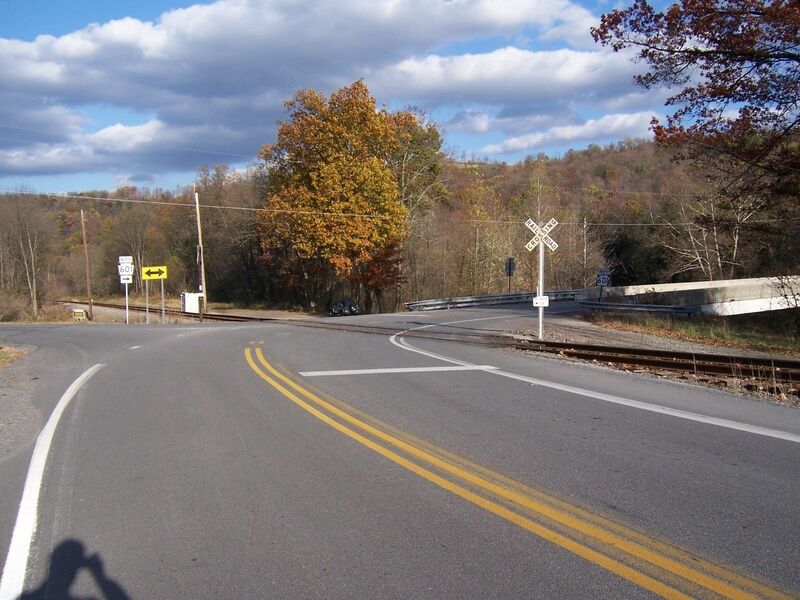 The river towns of Benson and Hollsopple sit together where the Stonycreek River and PA routes 403 and 601 converge. They owe their original existence to the Baltimore and Ohio Railroad, which established Bethel Station in 1881. The depot still stands today and has become a social and recreation center within the community. 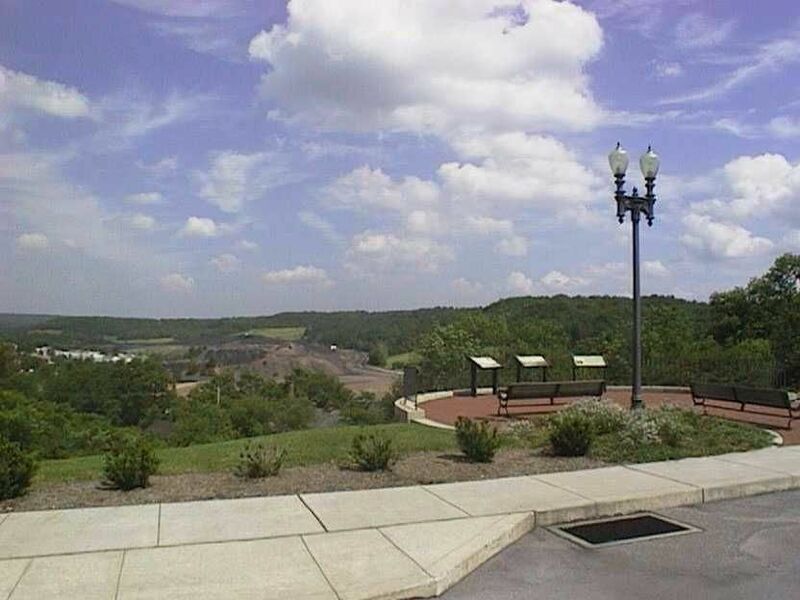 Coal mining began here around 1900 and continued into the 1940s. These communities seemingly have always had an identity problem. Initially the community was known as Bethel, then as Hollsopple. The portion of the community located on the south side of the Stonycreek River in Paint Township was incorporated as Benson Borough in 1892 and named for Samuel Benson, who built the second Somerset County Courthouse. The remaining portion of Hollsopple north of the Stonycreek is an unincorporated village within Conemaugh Township. You also will find variations of spellings for "Hollsopple" on signs within the village with some spelling the name with just one "L." Today, this community welcomes visitors to The Stonycreek Corridor and serves as a gateway to Quemahoning Lake and the Stonycreek Canyon. There are two put-in points here for boaters wanting to challenge the Canyon's 15 sets of rapids. Oven Run and a companion stream, Pokeytown Run, were river killers. 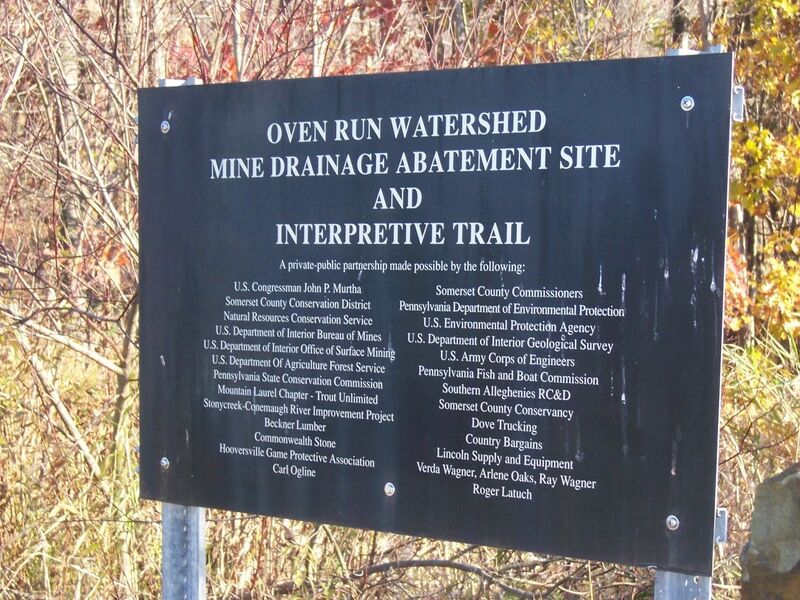 The abandoned-mine drainage (AMD) carried by these streams was as acidic as vinegar and laden with dissolved metals (especially iron and aluminum) that destroyed all life in the Stonycreek River for miles below their outflow. 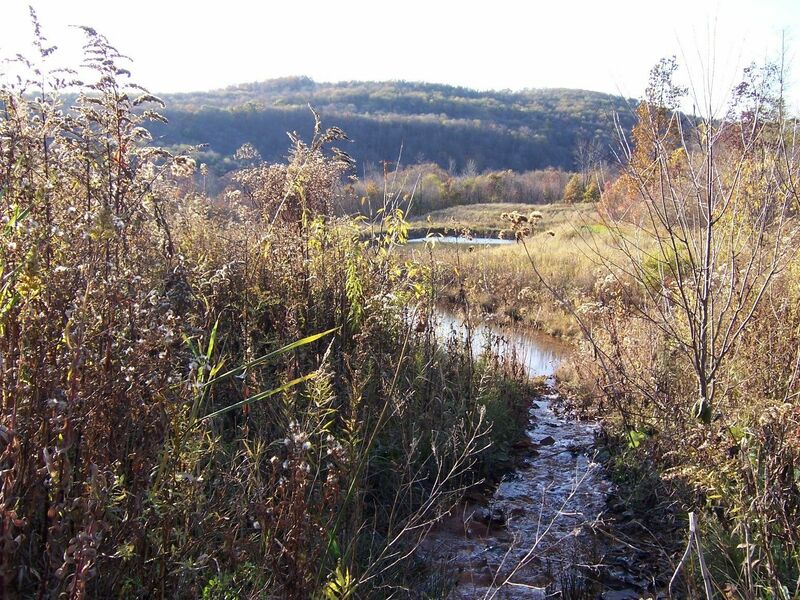 Local conservationists and sportspeople teamed up with county, state and federal agencies, obtained $5 million in funding, and developed six passive treatment sites with a series of settling ponds and wetlands that neutralize the acid, remove the metals and return the streams to a near-natural state. 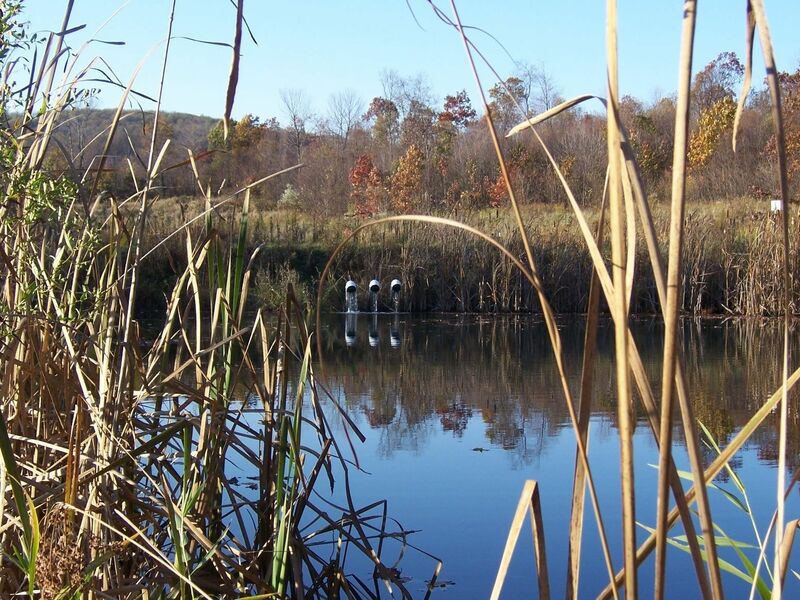 The dramatic result has been restoration of aquatic life throughout the Stonycreek River. On an interpretive trail here you can learn how passive treatment removes 800-900 tons of acidity, 200 tons of iron and 200 tons of aluminum each year here. 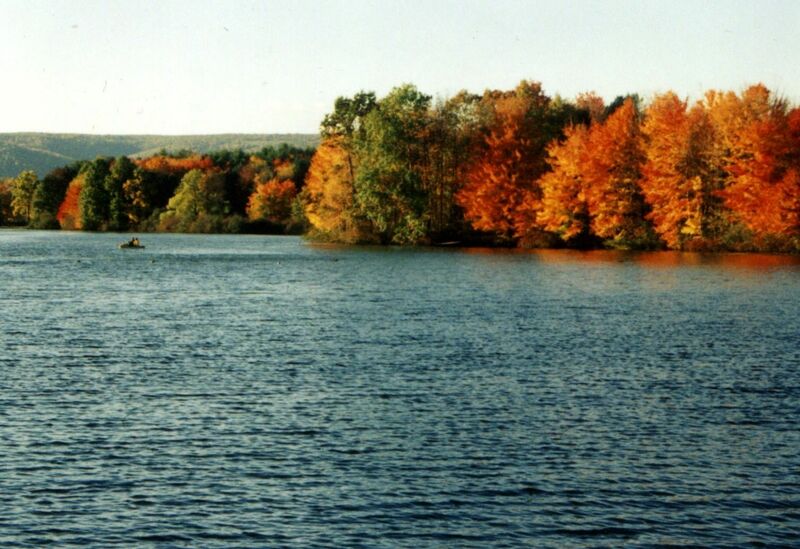 Quemahoning Lake began as an industrial reservoir for the Cambria Iron and Steel Company of Johnstown and served steel-making needs from the time of its completion in 1912 until its sale to an authority, formed by Cambria and Somerset counties, in 2000. For most of that period the Que (pronounced "kwee" by the locals) was owned by a subsidiary of Bethlehem Steel Corporation, Cambria's successor, and was closed to the public. 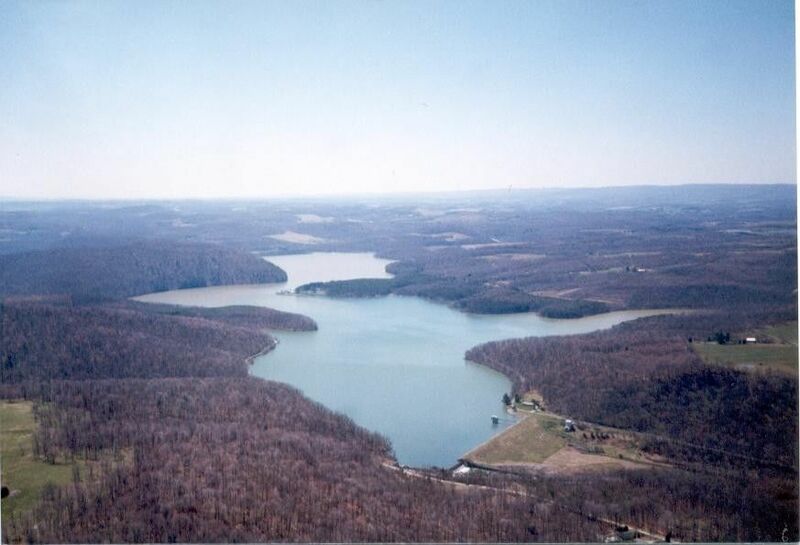 Upon the sale of Quemahoning to the Cambria Somerset Authority, the public suddenly found itself the owner of a 12 billion gallon lake with 880 acres of surface area and 11 miles of shoreline, surrounded by almost 2,400 acres of land. The public now has access to the lake through boat and canoe launches, a swimming beach, a picnic area with pavilions available for rent, athletic playing fields, basketball and volleyball courts, a walking trail, a playground, horseshoe pits and campsites for tents and RVs. 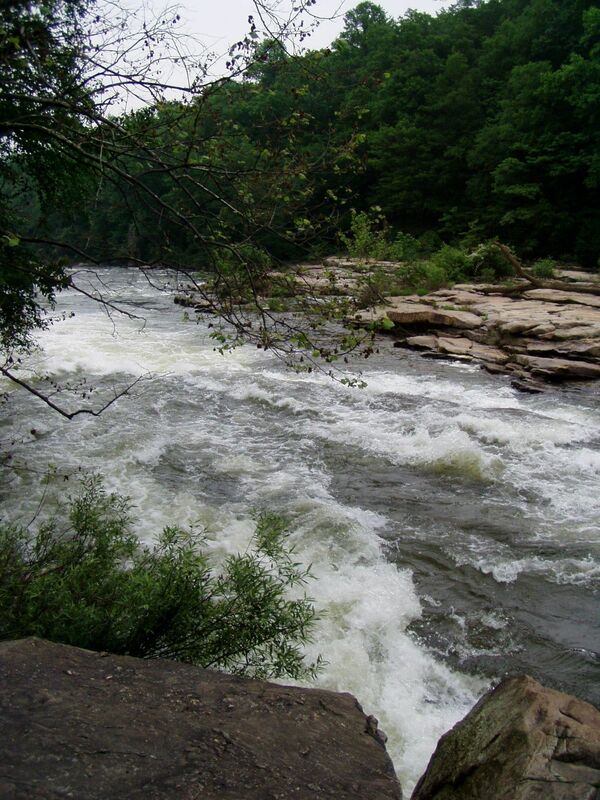 Scheduled water releases from the dam provide whitewater boating downstream in the Stonycreek Canyon. 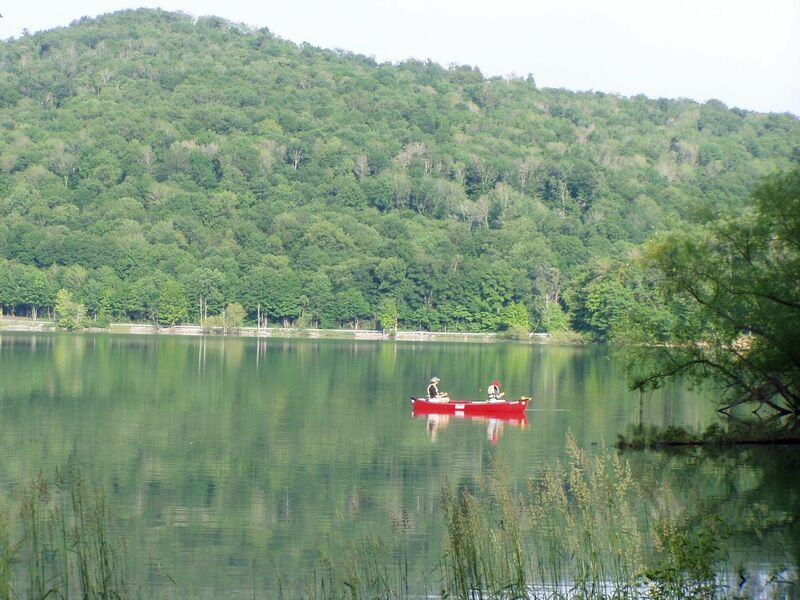 The Pennsylvania Fish & Boat Commission has jurisdiction over Quemahoning Lake and requires that all boats be registered and all fishers age 16 and over be licensed. 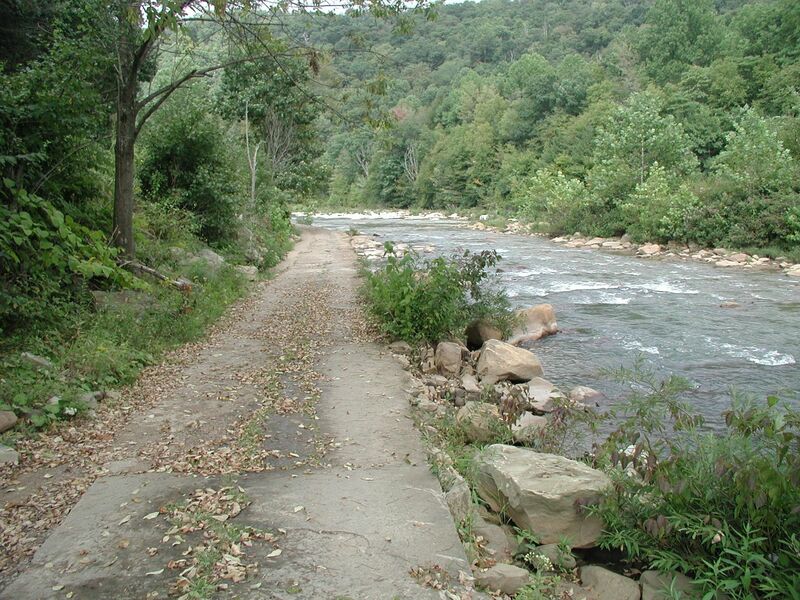 The Stonycreek is easily accessible from US Route 22 to the north or from the Pennsylvania Turnpike (I-70/76) and US 219 from the south. Maps and directions are available on this website: www.thestonycreek.com. This is a recreational destination area that offers something for all ages, lifestyles and personalities. The website provides information on the activities, tips on how and where to enjoy them, a calendar of events, and ways to find lodging and eating places. While this corridor offers scenic beauty and recreational opportunities during all four seasons, winter driving here can be hazardous due to the elevation and winds atop the Allegheny Plateau. And much of the tour is on hilly and winding secondary roads. Caution and attention to weather forecasts are advised during the winter season. If you begin at the kayak launch and head towards the woods, the river walk is quite breathtaking, especially during Fall. Moderate hike, as you can go off-the-trail to the train tracks which leads to a gorgeous view near the bridge.